Balance IT - Math Games: Fun! Submitted by Suleman, from Karachi, who is affiliated with the site. I created this game. 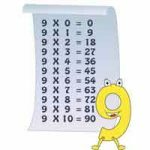 It teaches how to balance addition and subtraction and division of numbers.